Is it possible to lose weight without doing anything at all? No. To change something one has to put some effort. But you can always do the least and get the best out of it if you do it tactfully. Though it varies in age, size of the body, gene and geographical location, there are some effective ways which can speed up metabolism. There’s nothing more important than your body. To keep your body healthy, faster metabolism is necessary. Metabolism is the process that happens inside your body. It’s a process that digests the foods you eat, keeps your breathing and other important organs function normally. More precisely, it digests food, breaks things down and sends to different parts of our system. One of the toughest tasks for any person today is hit the gym everyday, what with having a busy schedule. How about we find some easy ways to make the fitness process easier for you? These will help you increase the rate of your metabolism and help you stay healthy. Let’s look at some effective ways to speed up your metabolism naturally at home. It has become a trend to skip meals or taking it later. That’s an easy escape for your calories to spread out all over your body. Your body slows down metabolism to save you from starving. Try to have meals right on time. By growing a good eating habit, you can reach half the way to speed up your metabolism. Try to have 5-6 small meals every day, if you are not comfortable with full meals. With every meal, try to consume as much protein as possible. Protein helps to increase metabolism than carbohydrate or fat. Our body works hard to digest the foods we eat. With a speedy metabolism, you can speed up the digestion process. Best sources of protein are quite cheap and available. These include egg, milk, beans, meat, fish etc. Research shows that green tea has antioxidants which help to burn calories faster and with much less effort. It also contains caffeine and catechins. It is a great way to speed up metabolism rate in a very short time. So, have green tea at least once every day and speed up your metabolism. In a busy mode of life, one must have some snacks every day more than once to keep going. Having large meals all the time can slowly slow down your metabolism. In this case, have some snacks every 3 to 4 hours. The more food you’ll consume, the more burning will take place in your body. So, having small snacks can boost up your metabolism faster. 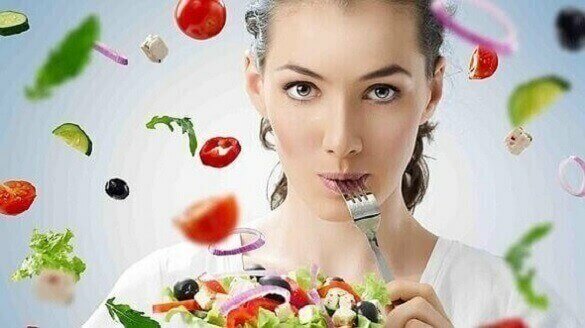 Organic food helps to speed up metabolism rate. So, try to have some more fruits, vegetables, grains, and other organic foods. These really help to burn fat. When you eat inorganic food, your metabolism gets blocked by an interference with thyroid. It’s the thermostat of your body and determines how swiftly it runs. So, don’t let inorganic foods slow your metabolism. Spicy food speeds up metabolism temporarily. Bengalis tend to spice their food up with chilies and pepper. These contain natural chemicals that boost the body heat up, thus speeding up metabolism. Adding an extra green chili to your meal might not help in two days, but after two months, you will notice the change. Yes, water is also an essential and effective source to boost up your metabolism. Water is the element that processes calories. An adult must drink at least eight glasses of water every day. When you will stay hydrated by having enough water, metabolism boosts up rapidly. Muscles burn more calories than any other system of your body. Every pound of muscle burns a minimum of six calories every day to keep its strength. So, some light workout of fifteen to thirty minutes will steadily help to build muscles all over your body and speed up metabolism. No, no need to go to gym to speed your inner organs work better. Just take a walk in the evening. It would be best if you can take a walk in the morning. That’s the easiest and is considered one of the most effective exercises. So, go out, walk, see the sun, feel the breeze. Diets alone can’t do the entire job. You need to get up for a while to live a happy and healthy life. Now that you know ways to speed up metabolism and stay healthy, we suggest you start today.